GFDRR’s Resilient Recovery initiative is involved in every major disaster, helping affected countries assess damage as well as economic losses and needs, and planning recovery. From typhoons in the Philippines to earthquakes in Nepal, the program has a record of supporting governments to rebuild lives and create a safer future through resilient recovery. The program works with the disaster-prone countries before events in order to enhance their readiness for post-disaster recovery. This is achieved in close coordination with the United Nations (UN), the European Union (EU), and the World Bank, a partnership that has produced guides and tools for conducting post-disaster needs assessments (PDNA) and developing disaster recovery frameworks (DRF). The program offers on-demand technical assistance to disaster-prone countries to improve recovery preparedness and build institutional capacity to efficiently address post-disaster challenges. It regularly runs capacity building programs — on conducting post-disaster assessments, developing recovery frameworks and planning recovery — for vulnerable countries and regional organizations. The program spearheads the World Bank’s post disaster engagement by serving as the focal point for PDNAs, government-led assessments of damages, economic losses and needs from natural disasters that also outline a recovery strategy. In response to client demand, the program has developed an innovative rapid assessment methodology that significantly reduces the time and effort needed to assess damages. It also can contribute to a PDNA or serve as a substitute for events that do not warrant one that is full-scale. This method uses technology, such as remotely sensed data and social media analytics, and has routinely been used for conflict zones, where access is difficult. The Resilient Recovery program supports coordination between the World Bank, the UN and the EU, in close consultation with national governments. The aim is to ensure clear lines of communication and a shared approach during the potentially chaotic post-disaster period. The three agencies adopted a 2008 declaration, putting in place standard protocols for post-crisis responses that bring all operations, from assessment to recovery, under the leadership of the affected country’s government. The program also participates in the Global Preparedness Partnership, which was launched by the World Bank, the UN and a group of vulnerable developing countries known as the V20. It will support capacity building for the 50 most vulnerable countries to attain a basic level of readiness for disaster by 2020. The Resilient Recovery program helps countries leverage financing for recovery. Since 2012, the program has helped raise an estimated $5 billion dollars from the World Bank and comparable resources from other international partners. The support provided enhances the clients’ ability to muster the external financial resources often needed to implement an effective post-disaster recovery. Leveraging the heightened awareness of risks in the aftermath of disaster, the program helps governments prepare for future disasters. 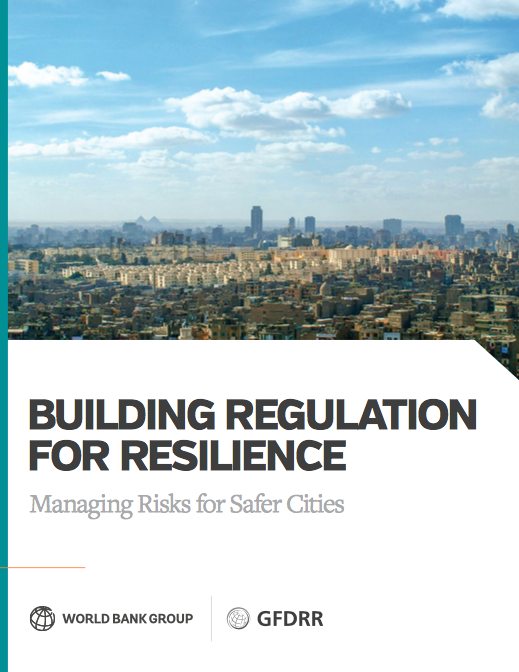 This includes promoting a “build back better” approach to infrastructure as well as supporting governments in strengthening recovery systems so that they are financially and institutionally prepared in the event of disaster. In partnership with the EU and UN, the Resilient Recovery program launched the Disaster Recovery Framework Guide, global guidance outlining proven tactics for achieving effective recovery and resilience building. 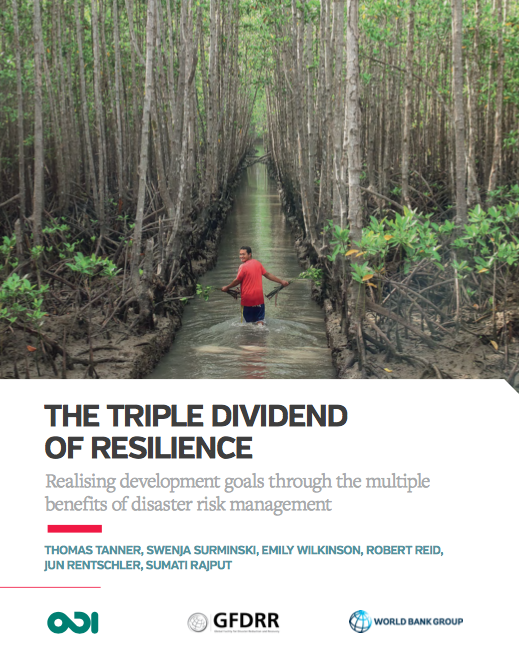 In 2014, GFDRR — in partnership with the EU, the UN Development Program, and the World Bank — launched the Guide to Developing Disaster Recovery Frameworks (or DRF Guide). The guide not only helps governments create disaster recovery frameworks to facilitate a smooth recovery process, but also aims to improve resilience for the future. A dynamic document, the guide incorporates new lessons learned from recovery efforts. It has also gleaned recovery experiences from eight country case studies — Bangladesh, Haiti, Lao PDR, Mozambique, Pakistan, Philippines, Senegal, and Yemen — and from other good practices from around the world. Additional expansions of the document include thematic notes that provide detailed guidance on specific sector or context. The guide is unique in that it offers a flexible methodology that countries can adapt to their own context in order to create a national framework that will help them rebuild and recover. Over the past two years, Fiji, Malawi and Nepal have all used the guide to help organize disaster-recovery efforts.